In the round of the last sixteen of the Turkish Cup, Alanyaspor and Kasimpasa will face two first division sides on Thursday. Alanyaspor entered the competition in the fourth round and won 3-1 away at fourth-tier Altindag Belediyesispor. In round five it was then against Kahramanmarasspor, also from league four. After a 7-2 home victory in the first leg for Alanya, the duel had already gone. The Orange-Greens were even able to afford a 2-1 away defeat in the second leg. In the previous season, the club had failed from the seaside resort on the Turkish Riviera in the fifth round of the second division Giresunspor. Now Alanyaspor wants to move into the quarterfinals. Kasimpasa also had to start from the fourth round of the cup. First, the blue-white won 3-2 away at the fourth division Batman Petrolspor. In round five was a duel against the fourth division Menemen Belediyespor. The first division side won the first leg away 2-1. Then there was a 4-1 home win in the second leg. In the 2017/18 season of Türkiye Kupasi Kasimpasa embarrassed in the fifth round of the cup against second division Boluspor. At home, they lost the first leg with 1: 3 and then retired after a 1: 4 in the second leg. After Kasimpasa have been able to celebrate great successes in the league this season, the team of coach Mustafa Denizli wants to move into the round of the last eight in the Cup. If you look at the game Alanyaspor vs. Kasimpasa on the odds of the bookmakers, the spectators is apparently before a close game. Even the betting base is difficult in the Türkiye Kupasi game between Alanyaspor and Kasimpasa with a prediction on the outcome of the game. Instead, in the duel between Alanyaspor and Kasimpasa we recommend a bet on goals from both teams. With the rise in the 2015/16 season Alanyaspor reached the highest league of Turkey for the first time in club history. In the first season in the Süper Lig the Orange Greens ended up in 12th place. The decent result could repeat the club from Alanya in the preseason. In the season 2018/19, the team of Sergen Yalcin after 17 matchdays in 14th place and probably fighting against relegation. In the first half of the season, Alanyaspor had five wins, three draws and nine defeats. With 13 goals Alanyaspor has the weakest offensive of the Süper Lig. 14 of the 18 points the club took home. In their own stadium there were four wins, two draws and three defeats. In front of their own fans Alanya has conceded only six goals, this is the second best value throughout the league. On the other hand, the Orange Greens do not go away. In eight games the team realized only three goals and scored a whole four points. For four competitive games, the team of coach Yalcin waiting for a victory. In the winter break Alanyaspor played against the fourth division Sakaryaspor a test match, which you won 3-1. In the winter transfer period Alanyaspor was able to announce two new additions: Steven Caulker and Josef Sural. In addition, Ozan Tufan borrowed from Fenerbahce. Since 2012, the Kasimpasa Spor Kulübü plays in the highest Turkish football league. Kasimpasa is one of the surprises in this year’s Süper Lig season. Although the club has always been in the top nine of the league in five of the last six seasons, the blue and white are particularly good after the preliminary round of the 2018/19 season. Kasimpasa is after 17 games with 29 points in fourth place, tied with the second-placed Trabzonspor. The gap to championship leader Basaksehir is six points. The club from Istanbul is by far the best offensive of the Süper Lig with 37 goals. 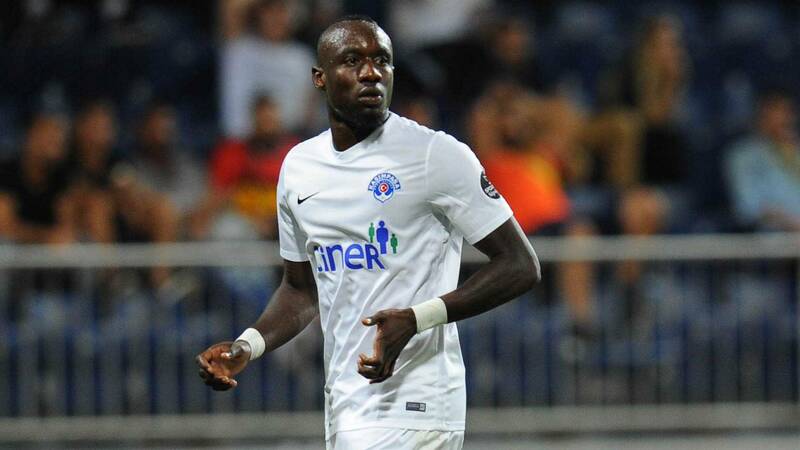 In addition, Senegal’s striker Mbaye Diagne is leading the Süper Lig scorers’ list in Kasimpasa’s service with 20 goals after 17 games. Second-placed scorer Hugo Rodallega of Trabzon scored only nine goals. In the first round, there were nine wins, two draws and six defeats for the team of coach Mustafa Denizli. On the other hand Kasimpasa has conceded 28 goals, which is the worst value in the league. Abdul Rahman Khalili and Ilhan Depe were recently unable to participate in training. Your bet in the cup is uncertain. New in the team is the goalkeeper Simone Scuffet, who was only number 2 in Udinese. He will be loaned out by the Serie A club until the end of the season. In addition, sports director Nursal Bilgin hired Haris Hajradinovic from Croatian club NK Osijek. Before that, the Kasimpasa Spor Kulübü had already strengthened with Tobias Heintz and Azad Toptik. In addition, there are rumors about the change of former HSV player Gökhan Töre, who is currently playing at Besiktas. There have been seven games between Alanyaspor and Kasimpasa. With five wins and two defeats, the direct comparison clearly speaks for Kasimpasa. Alanyaspor won both at home and away a game against Istanbul. For both teams it is the first competitive game of the new year. In addition, both clubs have strengthened in the winter break with new players. These facts alone make it difficult to predict the outcome of the game. In the match, the weakest offensive of the league meets the strongest storm. The guests from Istanbul are good for at least one goal in every game. But the hosts also have to find their way to the goal to work out a reasonably decent base for the second leg. However, Alanyaspor will face not only the best storm in the league on Thursday, but also the worst defense of the Süper Lig. We also want to play Alanya vs. Kasimpasa does not dare to predict the outcome of the game. But we believe there will be at least one goal on both sides. Thus, at the Türkiye Kupasi match between Alanyaspor and Kasimpasa we set our tip on “both teams to score”. Alternatively, you could play a bet on over 2.5 goals. Alone the fact that Kasimpasa plays along, should already provide for goals. The club from Istanbul has scored 37 times in 17 league games. That’s over two goals per game. In addition, the striker has met the Blue-White Diagne already alone 20 times in the league. However, as you can see in our previous tip, we also trust the home side against the worst defense of the Süper Lig at least one goal.